Home > Inspired Temps has arrived! 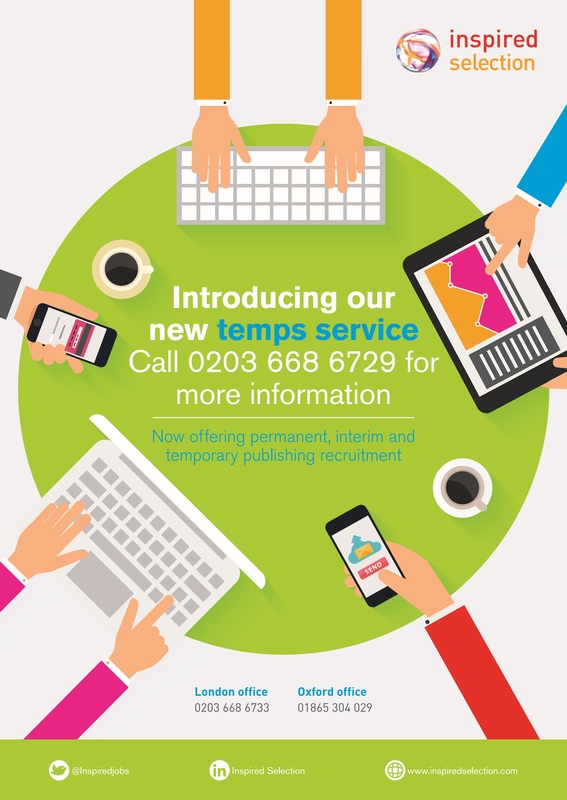 Inspired Selection are delighted to announce the launch of Inspired Temps, our new publishing recruitment service for temporary, interim and contract roles. This a new division of Inspired Selection dedicated to providing temporary recruitment solutions for the publishing industry. With this, we are over the moon to welcome Aimee Jones to the company to head up Inspired Temps in our London office. Aimee comes from a background in temporary recruitment and has a Masters in English and Creative Writing from the University of Southampton. She is excited to see our new temps service flourish and we are delighted to have her on board the Inspired team. Welcome to the future of temporary publishing recruitment.